Yep. Sounds like a pretty standard plot. Jaded disrespectful 20-somethings who will mess about somewhere they shouldn’t, disturbing things best left alone, leading to horrible hauntings and death. Got it? Good. So without further adieu, lets give this one a look then, shall we? A little creepy stuff… a little funny stuff… and some sweet romantic stuff… I’m thinking we might just have a winner here. But… as always… the truth is in the watching, so let’s not waste any more time and get right to it, shall we? Our synopsis? “Thailand’s latest horror is made up of three chilling and stomach-churning stories… ghosts, demons and vengeful spirits are all out to haunt at 3AM, the scariest hour of the night. In a wig shop crammed with lifeless heads of dolls, something turns out to be not really lifeless… Mint and May are sisters from a wig-making family, the two can’t get along but were made to man the shop while their parents went out of town. Their nightmare came alive when May unknowingly acquired hair of a dead person…. In a stranger’s house with a dark history, two corpses lie peacefully, side by side… Tos is assigned to take care of Mike and Cherry – a couple killed in an accident just before their wedding. Their parents decide to keep their corpses, as the couple loved each other so much – and their parents still treating them as if they were still alive. With Tos spending all his time with the corpses, he soon falls in love with the dead, but beautiful Cherry… what will this twisted love leads too? Posted in: Reviews, Thai Films. Tagged: Ghost, Horror, Reviews, Thai. Time for some creepy ghost action, Thai style, with a look at director Poj Arnon’s 2011 effort, “The Unborn Child”. Been a while since I’ve gotten to watch any Thai films, but thanks to a recent Taiwanese release with those ever so nifty English subtitles on board, it was finally time to give it a try. Our synopsis goes sorta like this: “Crime-scene photographer Tri, his wife Pim, and lovable little 5 year old daughter Yaimai become haunted by the spirit of an angry child after Tri is assigned to film the body of a woman discovered after an illegal abortion gone wrong. So… without further delay, let’s get right down to it and see for ourselves just what sort of creepy hijinx those baby ghosts can get up to, shall we? Christmas has come and gone and yours truly has already Decked the Halls and jingled my bells to celebrate, so now it’s time to let you in on what’s new in your Favorite Catgirl’s DVD player this Holiday season. 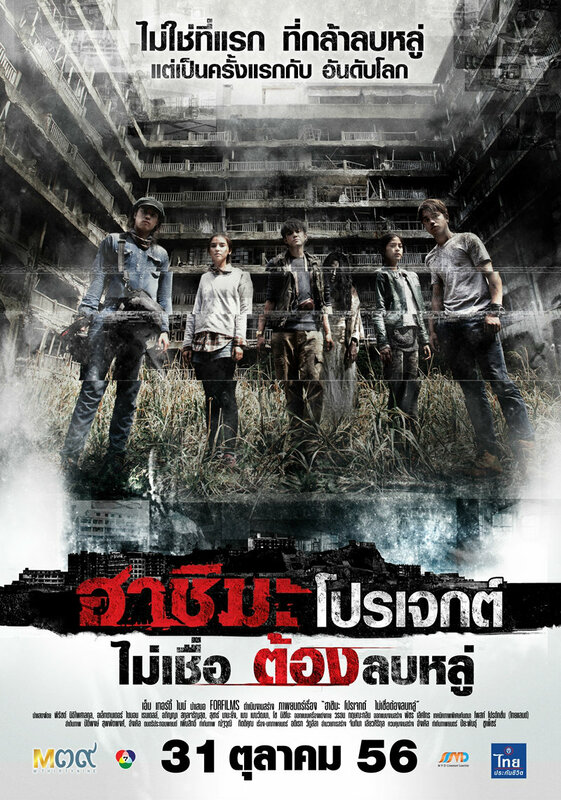 This time.. a look at the 2011 Thai horror film “Ladda Land” just out on Region 3 HK DVD with those ever so handy English subtitles on board for my viewing (and comprehending) pleasure. As with most Thai films the last couple of years or so, this one was somewhat of a vexing lil’ effort to track down. Others have beaten me to it, review wise…. one good example being our friend elpeevio at his own film Blog, “Things Fall Apart”. (You can check out his review HERE…) But I’m nothing if not tenacious in my efforts to find my cinema goodies…. so it wasn’t long before I got on it’s trail too. Released sans subtitles in Thailand itself, the very first legitimate English subbed DVD to surface, in Malaysia was… errr… disappointing… to say the least. With subtitles that were obviously auto-translated by computer and never checked by anyone fluent in English it was one of my rare purchase mistakes. I figured I’d be searching for some accurate fansubs to use, when the good folks in Hong Kong came to my rescue and released their own version…. with good accurate subs. Yay!! Finally…. another trip to Thailand for your Favorite Catgirl to get her latest horror movie fix. Despite the appalling lack of English subtitles to be found these days on actual Thai DVD’s, I still keep plugging away as I continue to search high and low for the ones that do get released somewhere… anywhere… with decent English subtitling. My latest bit of luck involved bumping into the recent Malay release for the 2010 Thai “Snakes In An Apartment” horror film, “The Intruder”…. released in Malaysia as “Revenge of the King Cobra”. At least I thought it was lucky….. As it turned out, the Malay DVD by Innoform was as bereft of subtitles as the original Thai release itself. However… another search turned up the necessary fan-subs that needed only a wee bit of tweaking time wise, to sync them to my disc. OK, ok…. 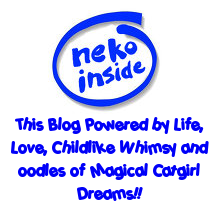 you’ve sold Neko on this one…. But did it live up to my expectations? Guess you’ll have to “Read On” and find out now wont you? Time for some serious kickboxing, sword slicing “tough girl’ action this time out as I give a look at 2010’s Thai action flick “Vanquisher”. Recently released on Region 1 DVD with little fanfare by Magnet, your Favorite Catgirl somehow missed hearing about it…. d’ohh!! Thankfully, Carolyn’s sharp eye caught a peek at it when shopping for us a day or so ago, and knowing what a little action movie goof her girlfriend is promptly snatched a copy for lil’ ol’ me. Our synopsis goes along like this: “A Thai Special Ops agent, codenamed “Gunja”, narrowly avoids death and betrayal during a dangerous mission, only to resurface two years later to battle a bloodthirsty terrorist plot in Bangkok. Now I do like action movies with strong female heroines and Thailand usually knows how to do the action genre pretty well, but your Favorite Catgirl has heard some rather discouraging things about this particular film. Never one to be put off by bad rumor and elated by my sweetheart’s most thoughtful (and unusually successful) efforts to finally score a movie I didn’t already have and somehow managed to miss the release of, I’m gonna hunker down and see what’s what. Wanna know all about it too? Why then, by all means “Read On”, o’ Gentle Visitor!! Our synopsis goes like this: “Bangkok based Crime reporter Dao (Susie-Susira Angelina Nanna) has to uncover strange and unexplainable incidents in the next 24 hours. She received news from the hospital that her father (Yodchai Meksuwan) has been miraculously resurrected from the death after being dead for more than 15 consecutive years since the departure of her mother. Yep…. this one most certainly sounds like one of those films your Favorite Catgirl can’t get enough of…. Weird supernatural hauntings… the dead refusing to stay dead…. babies refusing to be born…. old family secrets that lurk in the closet like skeletons….. Naturally I’m all for snugglin’ in to make a night of movie watchin’ bliss. Not to worry though, I’ll tell ya all about it. Psssst!! That means it’s time to “Read On”, you silly lil’ doofus! !